Looking at the dam and the 4 water intakes. 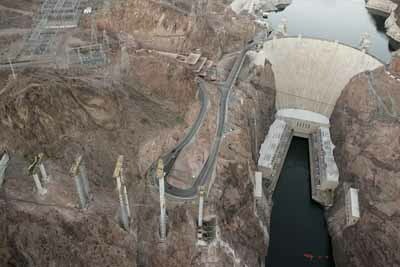 and the bridge being built to replace US 93 travel across the top of the dam. 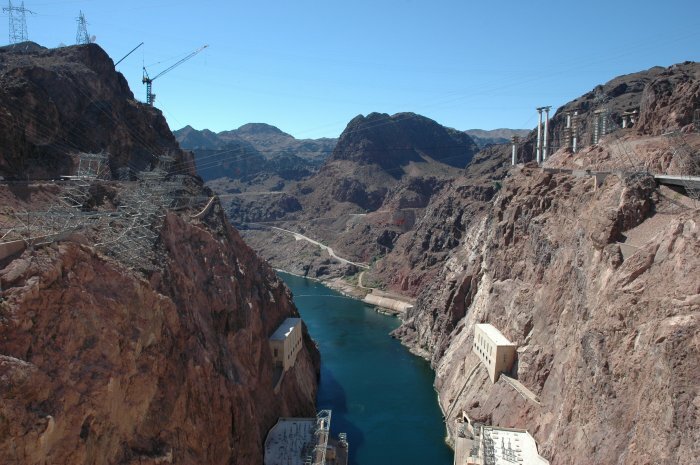 Two red lines point to the traffic crossing the top of the dam. currently under construction. 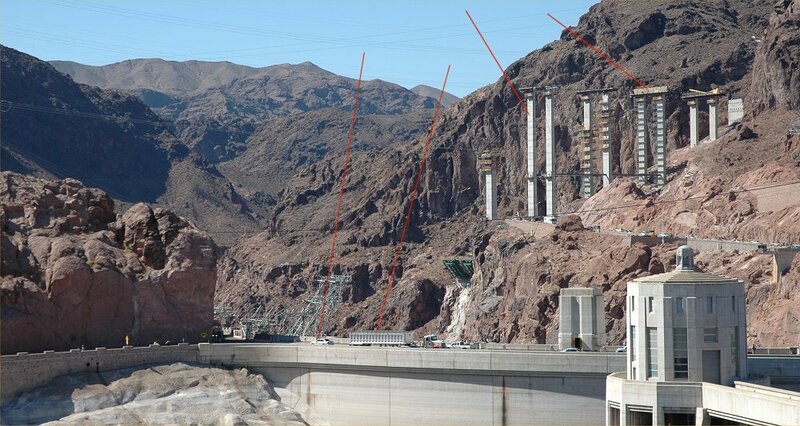 Note the two red lines pointing to the pillars in the distance. 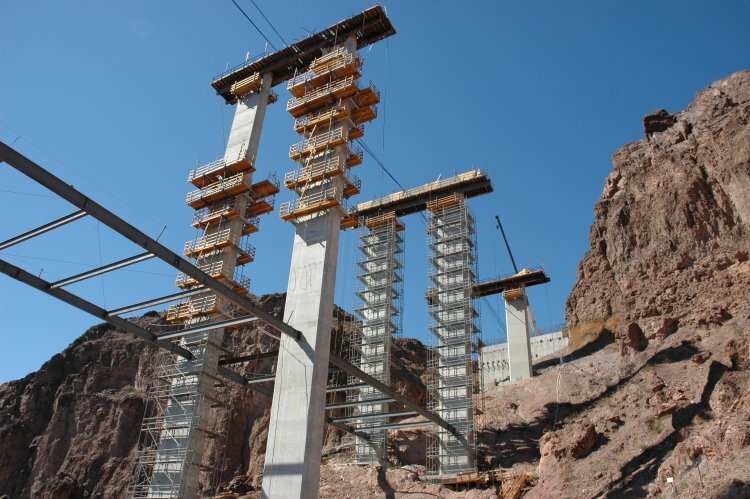 construction on each side of the gorge (crane on the left, pillars on the right). 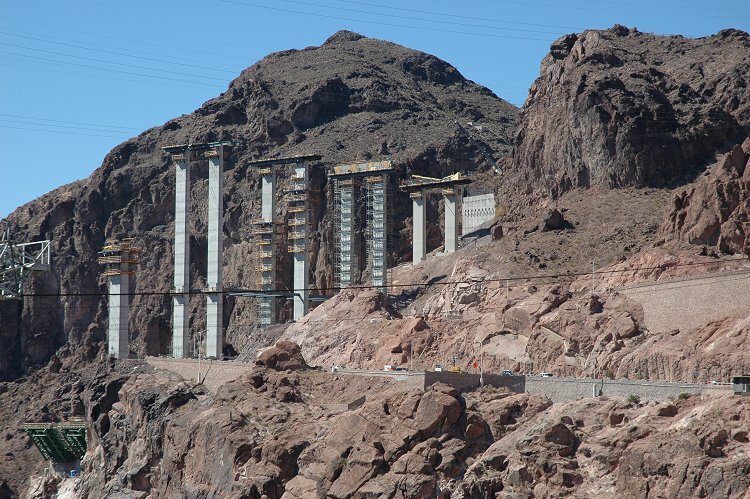 A view of the bridge construction with Hoover Dam in the Distance.